Maple Leaves In Front Of A Small Metal Bucket. In The Pile Of Leaves Sits A Hedgehog Couple With Straw Bags. Lizenzfreie Fotos, Bilder Und Stock Fotografie. Image 110119694. Standard-Bild - Maple leaves in front of a small metal bucket. In the pile of leaves sits a hedgehog couple with straw bags. Maple leaves in front of a small metal bucket. 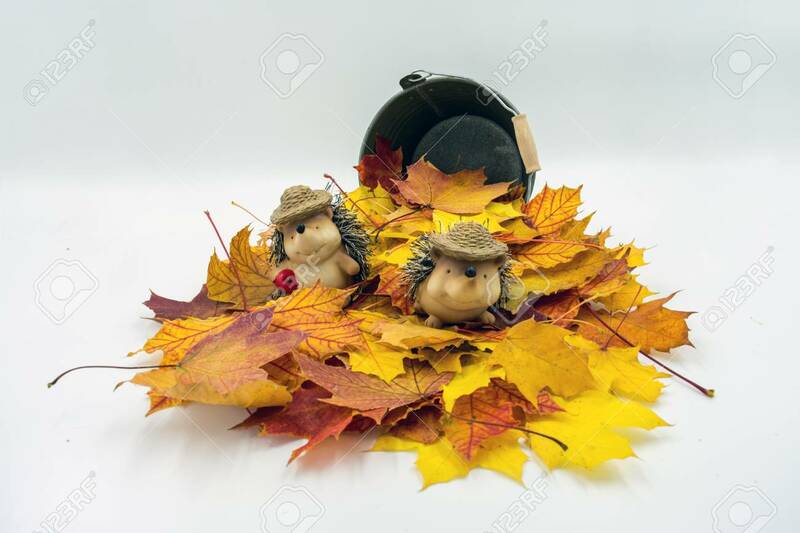 In the pile of leaves sits a hedgehog couple with straw bags.